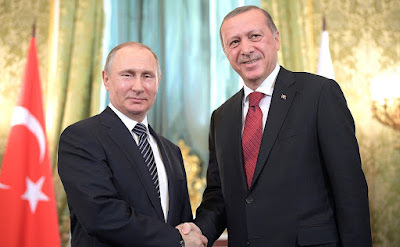 Putin.BLOG Foreign Policy Turkey Meeting with President of Turkey Recep Tayyip Erdogan. 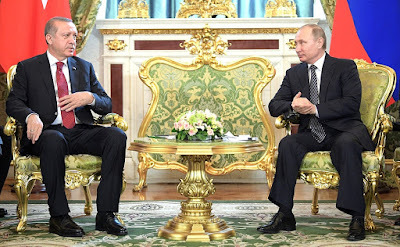 Vladimir Putin met with Recep Tayyip Erdogan in the Kremlin. Russian President with Recep Tayyip Erdogan in the Kremlin. The President of Turkey has come to Russia for the sixth meeting of the High-Level Russian-Turkish Cooperation Council. I am happy to welcome you to the Russian capital. We are glad that our interstate relations are recovering, and very quickly. 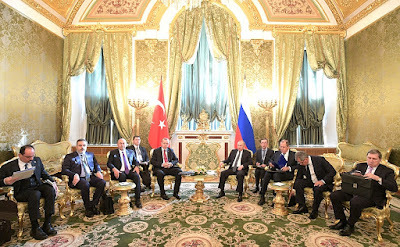 The last time we met in this format [the High-Level Russian-Turkish Cooperation Council] was quite a while ago, in 2014. Many things have happened since then. 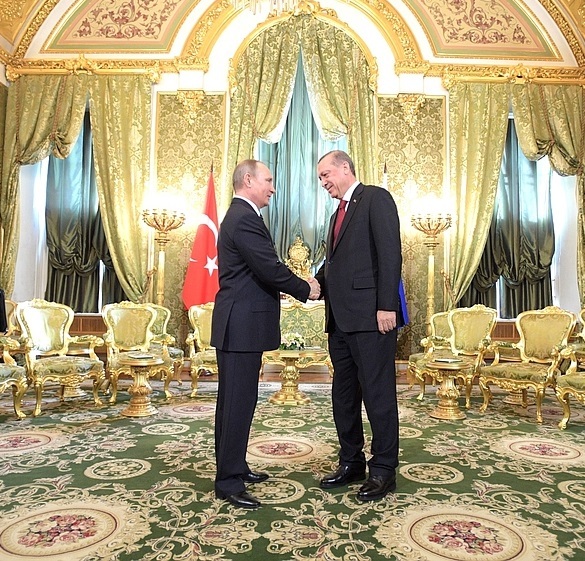 We have been working hard recently to advance Russian-Turkish relations to a befitting level. We are working energetically to settle the most acute crises in the world, primarily in Syria. I am pleased to say that our military agencies and special services are developing such effective contacts, which nobody seemed to expect. We are also restoring our trade and economic ties. As far as I know, Prime Minister Dmitry Medvedev updated his Turkish colleague yesterday on the additional measures and steps to restore our economic relations in full measure. We carry on our investment cooperation and are preparing to implement large projects. We are glad to see you in Moscow. Welcome. I would like to express gratitude to my dear friend. 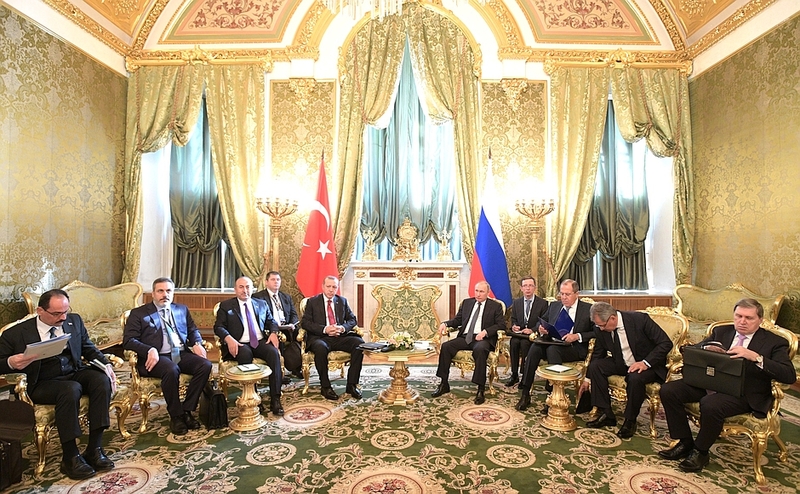 There was a gap in the work of the High-Level Russian-Turkish Cooperation Council. As you know, we have recently met at the World Energy Forum. The forum was highly effective, in particular in the context of our contacts. Cooperation between Russia and Turkey is of special significance. It is gaining momentum in the gas sector and other areas. Our cooperation is returning to normal and is gathering speed under the Turkish Stream gas pipeline and the Akkuyu nuclear power plant projects. I believe that today the High-Level Cooperation Council will focus on the economy, trade, the defence industry, energy and other issues. I am sure that this meeting will contribute to the further development of our relations. 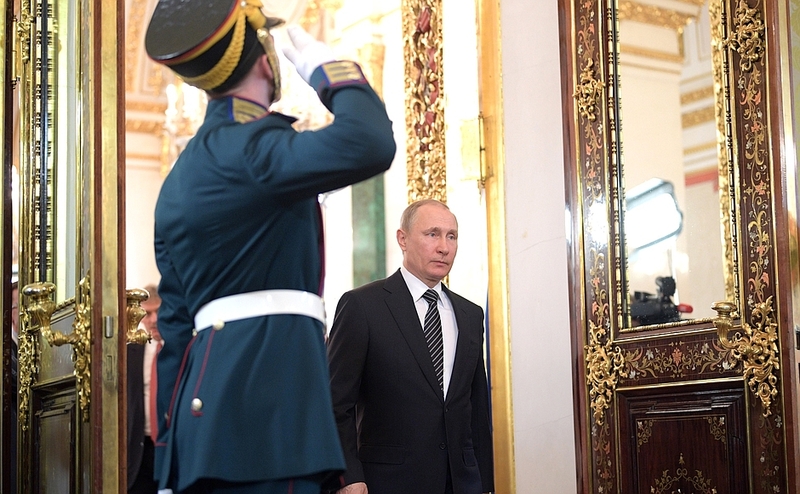 President Putin with Recep Tayyip Erdogan in the Kremlin. 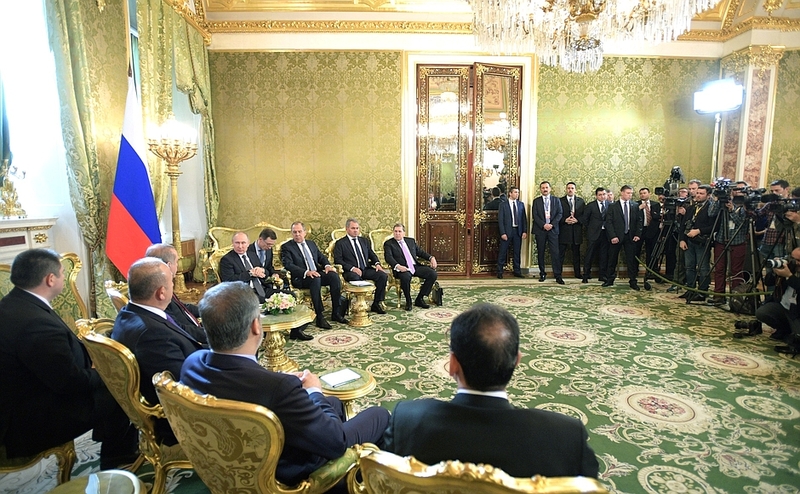 President of Turkey Recep Tayyip Erdogan meeting with Vladimir Putin in Moscow. Vladimir Putin before the meeting with President of Turkey. 0 Comment to "Meeting with President of Turkey Recep Tayyip Erdogan."